More Sparkle! More Style! More Compliments! High end Jewelry. Low end prices! 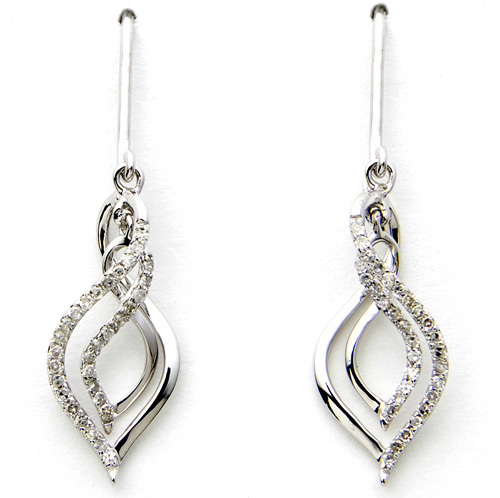 Fabulous twisted diamond dangle earrings, .25twt round diamonds set in 14k white gold. Pierced earrings only. Matching necklace M8511.